A compact DMX controller for LED wash lights with multiple playback options. The Chauvet OBEY 4 DMX controller is a compact DMX controller for LED wash lights with 3- or 4-channel modes-red, green, blue and white/amber-for easy color-mixing control. DMX controller has built-in automated, sound-activated or manual playback options and can control fixtures in four different zones-independently of each other. 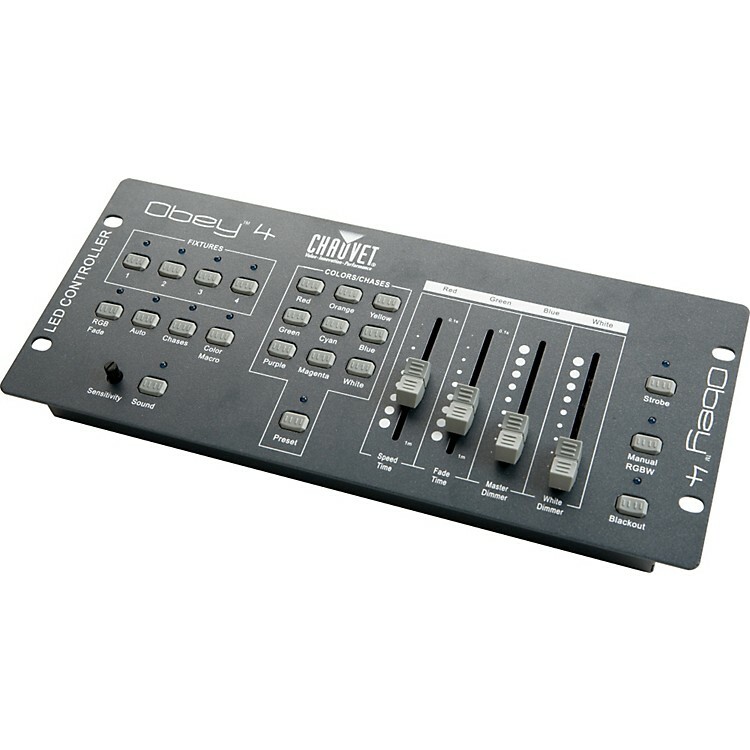 The OBEY 4's one-touch buttons of pre-mixed colors, built-in chases and strobe and dimmer controls make it perfect for a lighting novice or anyone looking for an easy way to control LED washes.